International food safety expert and Eagle Protect’s Research Director, Barry Michaels, will be presenting “Approaches to Solving Safety Vulnerabilities in Polymers Utilized in Food Environments” at the Food Safety Consortium. 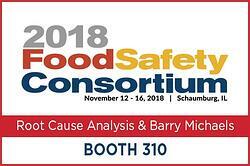 The prestigious conference, focused on the ever-changing global food safety market, will be held November 13-15, 2018 in Schaumburg, IL. Barry will join us at booth #310 throughout the conference for questions or further discussion. 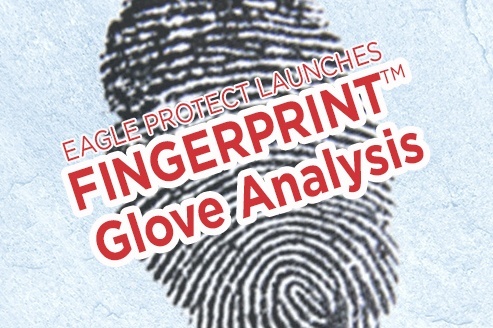 Barry’s presentation will explain why food packaging and disposable gloves have not been fully recognized on the food safety radar for potential bioterrorism threats. Read Barry’s Approaches to Solving Safety Vulnerabilities in Polymers Utilized in Food Environments abstract below. Are you attending the Food Safety Consortium? Let’s schedule a time to meet! Statement of the Problem: With HACCP regulations, food packaging and disposable gloves are accepted for food contact when compliance to mandated safety standards. Safety is assured via “Letters of Guarantee” that while protecting the supplier is a Pandora’s black box. Given low incidence of physical, chemical and microbiological contamination, the capacity for bioterrorism has not been fully recognized on the food safety radar screen. Intensive reliance on disposable gloves and flexible packaging in food applications as a control method to prevent product contamination are relatively recent phenomena not without some inherent risks. 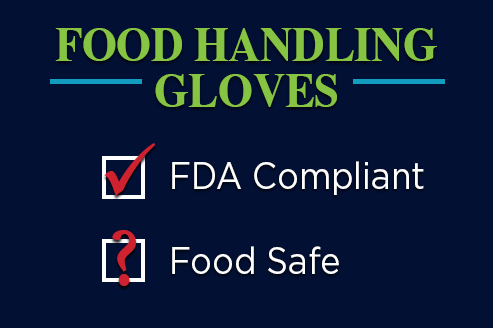 Food worker gloves and packaging meant to deliver protection, longer shelf life, convenience and portion control is often faulty. Food contamination that occurs within food facilities has for the most part been unintentional. WMD coordinators are aware that a big concern is disgruntled employees intentionally contaminating food or tools of production, but the risk of bioterrorism at glove or food packaging at point of origin is vastly under-appreciated. Methodology & Theoretical Orientation: HACCP provides the systematic methods for analyzing glove and food packaging manufacture, possible hazards, critical control points (CCPs) and testing necessary to protect the food chain. When materials, production processes, facility type/geographic location, workforce implications and quality/safety assurance standard operating procedures are reviewed, the two product categories are seen to have differing risk profiles. Further, by utilizing impact magnitude estimation, significance of preventive controls can be evaluated. Findings: Investigating variables in surface types with respect to surface free energy and microbial physico-chemical characteristics, it is easily explained why and how microbial species attach to plastic surfaces. Hazard analysis has shown weak points, steps needed to disrupt microbe and intent, identifying CCPs that are required for target hardening to enable enhanced global food security and prevention of negative endpoints. Conclusion & Significance: Currently the US food industry utilizes over 22 billion pairs of disposable gloves and $16 billion in flexible food packaging per year. For gloves, nearly all of this production is outsourced to factories where labor conditions are poor, bioterrorism risks extensive and life sciences governance lacking. Performing a hazard analysis of the glove or food packaging manufacturing process revealed critical control points and mitigation strategies important in normal production and highly significant in preventing intentional events. The FDA enactment of the 2017 Food Safety Modernization Act (FSMA), designed to institute Preventive Controls via safeguards for reducing the risks of chemo-biological terrorism through well education Preventive Control Qualified Individuals (PCQI). The impact magnitude estimations show that negative impacts could be potentially avoided or reduced by usage of FSMA type hardened targets with improved safeguards in place. Barry Michaels has over 50 years of experience in the fields toxicology, infectious disease investigation, control and prevention. His research work has involved a wide variety of viral, bacterial, fungal and protozoan pathogens in which he has focused a variety of technical intervention strategies. After initial research on viral / cancer inhibitory substances and marine microbiology, he went to work for industry. This brought him into contact with issues of product safety, regulatory affairs and product development in the fields of food and healthcare infection control where safety, efficacy and regulatory issues are simultaneously interwoven. Working as Product Safety Manager and Staff Microbiologist for Georgia-Pacific Corporation (GP) for 14 years he focused on developing strategies for prevention of healthcare associated infections and food-borne illness implicating infected food workers and food packaging. While at GP he established the GP Health Smart Institute and his laboratory was responsible for performing all of the testing of division products for safety, performance and toxicology purposes. A multi-year study he initiated into foodborne illness caused by infected food workers resulted in an 11-part scientific article published in the Journal of Food Protection and is a must read for anyone seeking an advanced degree in public health. His work on skin damage associated with hand hygiene and infectious disease transmission has formed the basis of policy decisions regarding hand hygiene in both food and healthcare environments. He has provided consulting advice to global hygiene products companies, the FDA, USDA, CDC, UK National Health Service Trust and NASA. He has been active in various scientific organizations and founded the B. Michaels Group Inc. a consultant group active in the areas of personal hygiene, glove use, food contact surfaces and cross-contamination. Considered the "Guru of Hand Hygiene" he has published or participated in a wide range of investigative studies, hundreds of articles, abstracts, book chapters / presentations on food and healthcare adverse event prevention.